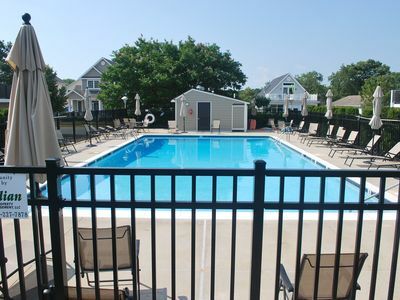 Enjoy the beach & pool in Cape Shores, Lewes! Availability in June, Aug & Sept! 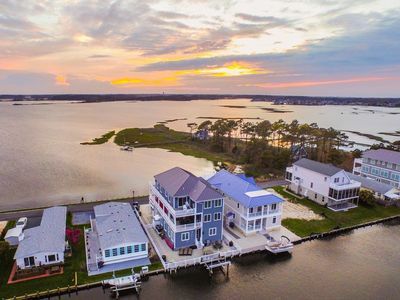 Welcome to our home in Cape Shores, Lewes! 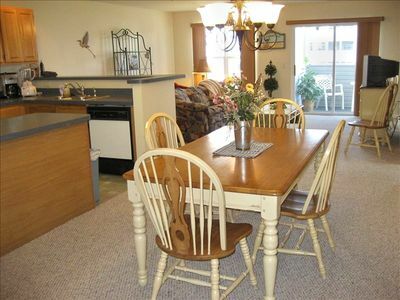 With four bedrooms and three full baths, it’s ideal for a group of family or friends of up to eight. 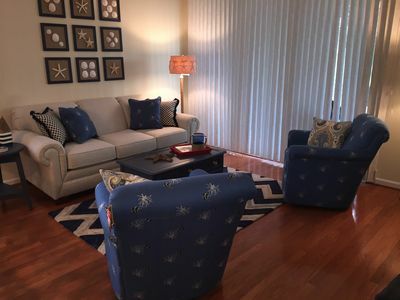 We’re just steps across the private community street from the bayfront beach, even fewer steps from tennis courts behind our home, and a nice walk or bike ride to the community pool. 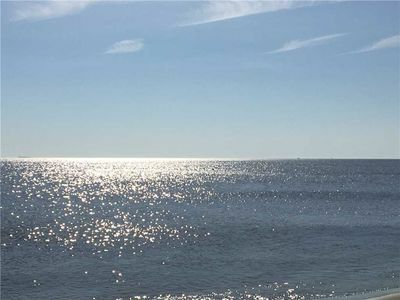 Cape Shores has its own beach on the bay, fishing pier, pool, tennis courts and clubhouse. 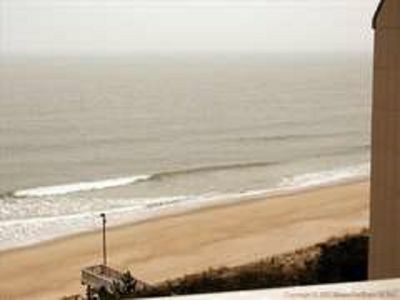 It’s also perfectly situated next to Cape Henlopen State Park for the ocean beach, hiking, biking and running the trails. We keep the calendar on this site updated to help you plan. Please check it to make sure your dates are available. 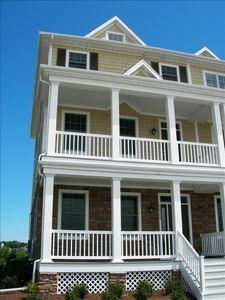 Our home is three floors with the main living space, kitchen, dining and master bedroom on the top floor. Three more bedrooms and a TV sitting room are on the second floor. 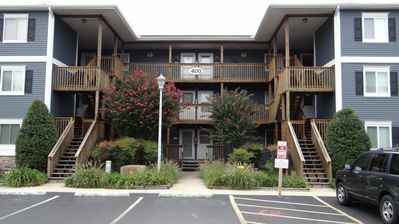 Decks surround both second and third floors and three bedrooms have access to the decks through sliding glass doors. Several renovations have been made, including new flooring, new windows and doors, and designer furnishings. 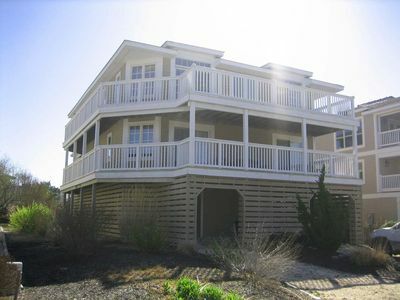 With decks front and back, you can find sun or shade at any time of day. 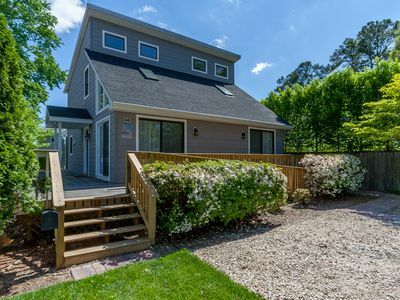 Enjoy your coffee and the early morning sun out on the open back deck, overlooking the tennis courts. A table and ceiling fan in the screened porch in the back makes a perfect spot for a crab feast. 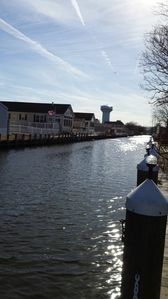 By afternoon, the sun moves to the front deck, where you can watch the Cape May-Lewes Ferry traverse the bay. The second floor decks provide shade. There is a private outdoor shower on the ground floor in the back. 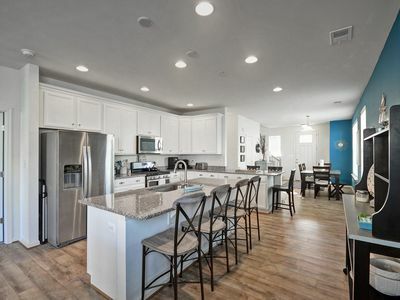 Indoors, the third, top floor is a bright and sunny open flow from the kitchen to dining to living space. 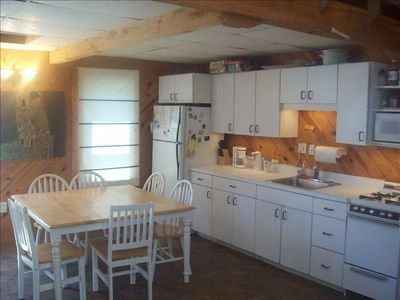 A laundry area and powder room are adjacent to the kitchen. 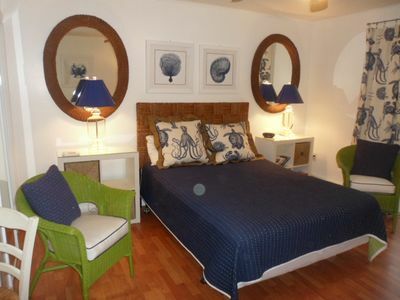 The master bedroom with a queen-size bed and its private bath are also on the third floor. 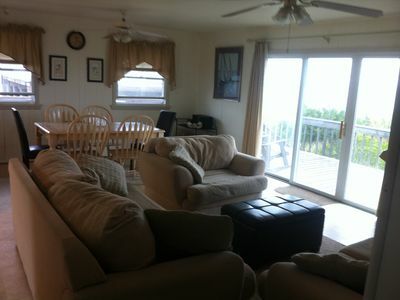 On the second floor are three more bedrooms, one especially spacious with plenty of floor space. 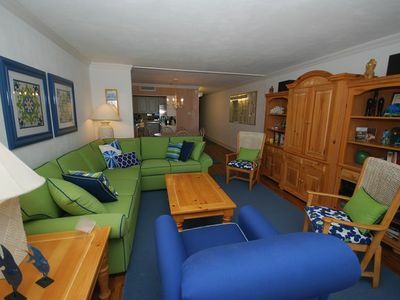 Also on the second floor is a sitting room for TV or games, a great spot for kids and separate activities. Cable TV and Internet with WiFi are provided. Please bring your own towels and bed linens. There is sufficient off-street parking for two cars. No smoking and no pets please. We require half rental paid upon booking and the balance one week prior to check-in. Please contact us with any questions or special requests. Oceanblock! Teacher & Vet 10%discount. 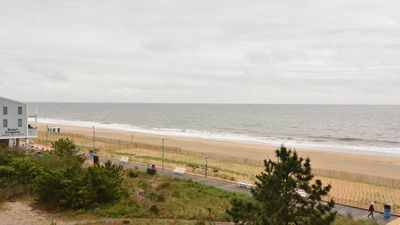 Beach Block Condo 2 Blocks North Of Rehoboth Avenue! 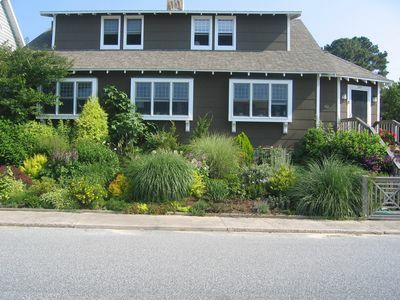 Large home close to the beach in Broadkill! 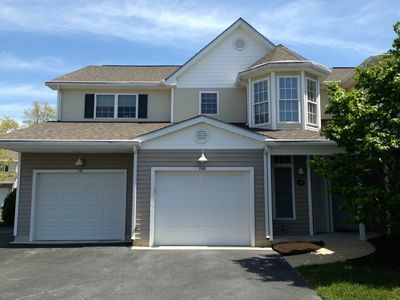 Beautiful 3 bedroom 2.5 bath with great amenities. 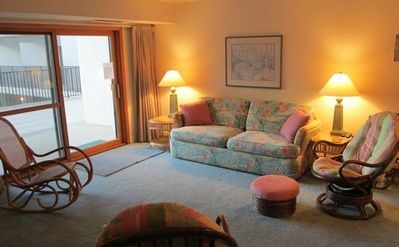 PENTHOUSE Ocean Front, sleeps up to 8 Fabulous Views! 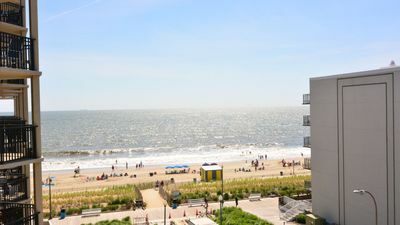 Oceanfront 2BR 2BA Condo With Community Pool!